Konstantinos Loupos (M), Head of R&D Program (INLECOM), holds an M.Sc. in Microelectronics Systems Design (University of Southampton, UK) with distinction, an M.Eng. in Electronic and Electrical Engineering (University of Manchester, UK) and an MBA (Hellenic Open University). He has an extensive experience in embedded systems and sensors and microelectronics systems, security systems, IoT technologies and Cybersecurity. His research interests and activities range in Sensors and Systems for Structural Health Monitoring (tunnels, structures, bridges etc), Robotics for Civil Infrastructure Inspection, Security Systems (sensors and communications), Water Demand Management, Monitoring and Leakage Detection, Fiber-Optic Monitoring Systems, Wireless Sensor Networks and Communication Systems and Application Specific Embedded Systems. 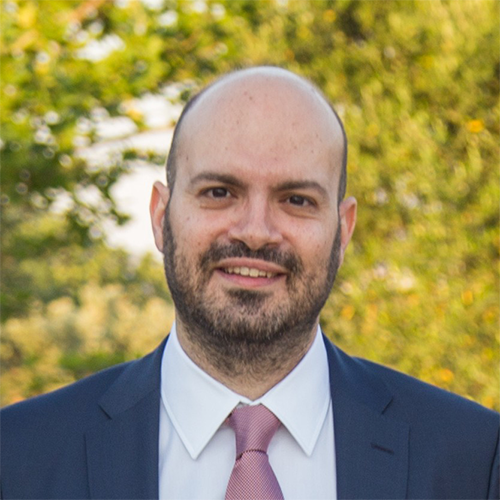 Konstantinos Loupos has actively and successfully participated in a series (more than 25, in the last 15 years) of EC co-funded projects (FP5, FP6, FP7, H2020, MED, GSRT and other) in the areas of SEC, IST, ICT, SME, NMP, COOP, MED, CBC-MED and TRANSPORT, with significant positions of responsibility (Project Coordinator, Technical Manager, Leader of Development teams etc). He has more than 60 publications in Conference proceedings, Journals and book chapters. He has served as a formal evaluator (expert) of EC projects in various topics of FP7, H2020 and EUROSTARS. Konstantinos Loupos is a certified PMP, GDPR expert (Certified DPO and member of EUROPOL EC3 cyber security group. To find out the schedule for Konstantinos Loupos’s participation, click on the detailed description page.